A job fair in May will have something for people looking for work as well as businesses that will hire them. Fort Macleod Chamber of Commerce is organizing a showcase of job opportunities and information. “I think it’s really going to be beneficial to the businesses,” Chamber vice-president Linda Henning said. Members received an update on the event Thursday during the Chamber’s monthly lunch meeting at Fort Macleod Library. The event will showcase employers, post-secondary institutes and agencies to promote their summer jobs, co-op placements, career opportunities and programs to students and public. Students will get first look at the booths from 9 a.m. to 12 noon at Fort Macleod and District Community Hall. Chamber assistant Ashley Nelson has contacted Livingstone Range School Division, which will have its Grade 10-12 students attend. “It will be a good opportunity to talk to kids,” Nelson said. Following a 45-minute lunch break, the career fair opens to the public in the afternoon. There will be information for business owners as well as students and prospective workers. At least four resources tables will be staffed by Alberta Works, the Alberta Apprentice Program, Training Inc. and others. At least six educational institutions will attend, including the University of Lethbridge, Lethbridge College, Medicine Hat College and SAIT. 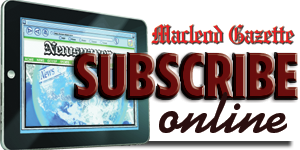 Fort Macleod and district businesses will be able to have a booth at no charge. A notice was sent to businesses.